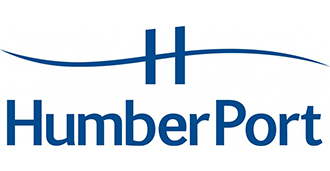 The capabilities and advantages of the Humber, the UK’s busiest ports complex, will be showcased in a seminar entitled “HumberPort: Opening the door to the Northern powerhouse” on Monday, April 28, the first day of the three-day event at the NEC in Birmingham. “With the Humber on the east coast and Liverpool on the west, you have end-to-end connectivity – a golden corridor with trade coming in from one way or the other, with logistics parks in the middle, clustered around West Yorkshire,” he added. “You could also foresee this corridor being used as a hub for freight coming in from the west and destined to the north of Europe and vice versa, when the right logistics infrastructure and services are in place. The Humber estuary is of critical strategic importance to UK Plc because, as an island nation, Britain relies on shipping for around 95% of imports and exports. The Humber estuary is at the heart of the Britain’s international trade and an asset of global significance. HumberPort is a partnership of leading port operators, shipping lines and logistics service providers committed to promoting the benefits of a powerful ports cluster offering optimal access to and from northern England as one port. Our mission is to ensure that the global shipping and logistics industry is aware of the richness of the opportunity and competitive advantage offered by the Humber, to attract investment, trade and increased employment. HumberPort’s secretariat is the Logistics Institute at the University of Hull, a world-renowned centre for research, education and expertise on logistics and supply chain management. The Humber handles 83 million tonnes of cargo – 17% of Britain’s maritime trade and more than any other ports complex in the UK. Those cargo volumes make the Humber the fourth busiest ports complex in Europe after Rotterdam, Antwerp, Hamburg and Marseille. The Humber’s key advantage is location. It is Britain’s gateway to northern Europe and strategically positioned in the centre of the UK, 200 miles from both London and Edinburgh. This location means the Humber is within a four-hour drive of 75% of UK manufacturing facilities and 40 million people, while 320 million consumers can be reached across mainland Europe within 24 hours. More than 16,000 people are employed in the ports and logistics sector in the Humber, enabling raw materials used to manufacture and engineer products used in households and business premises worldwide to reach these global markets. The Humber makes a vital contribution to the UK economy in many sectors, including energy. More than one third of the country’s coal imports come through the Humber and the estuary has become established as the country’s renewables region, with major developments including the £310 million being invested by Siemens and partner Associated British Ports in world-class wind turbine manufacturing and assembly facilities. The Humber has the largest areas of development land in and around ports in the UK, giving the estuary a key competitive advantage. Much of this land is within the UK’s largest enterprise zone, offering investors fast-track planning process, enhanced capital allowances and discounted business rates. The Humber offers an uncongested transport network and excellent connectivity to markets across the UK and Europe. The area also has powerful and proactive networks, bringing together the public and private sectors, to support investment and growth. The estuary is very much open for business.